There may be four more days before Halloween is officially here, but if you were trying to come up with the most creative costume of all time, you may as well give up. 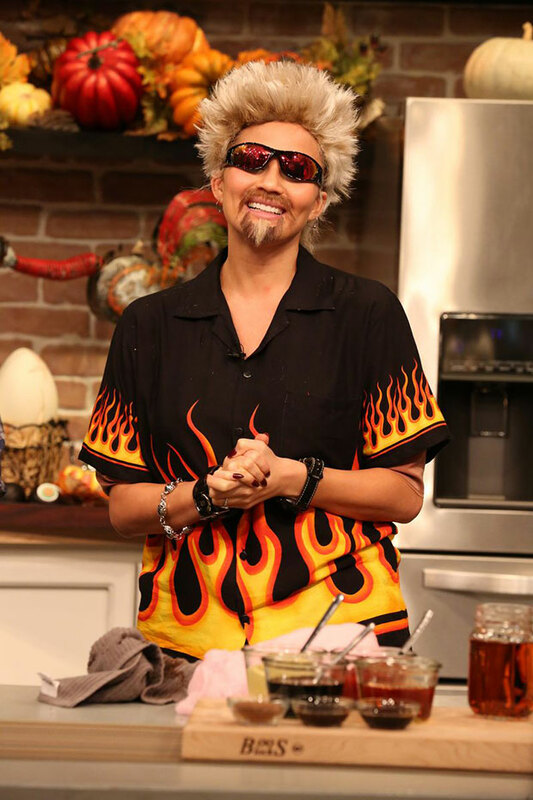 Trumping all Halloween costumes in one fell swoop, Chrissy Teigen stole the spotlight from the holiday with her eerily-accurate Guy Fieri costume on the set of The FABLife. Swapping her pregnancy glow for the Food Network star's infamous bleached-blond spikes and flame-covered shirt, Chrissy could not have looked more like Guy, unless, well, she was him. The costume is set to debut on the show's October 30th episode, but we simply couldn't be happier for this priceless sneak peek. At least now there's no need to even aim high, for Chrissy has already won Halloween. All others bow down to Halloween's official queen, Chrissy!